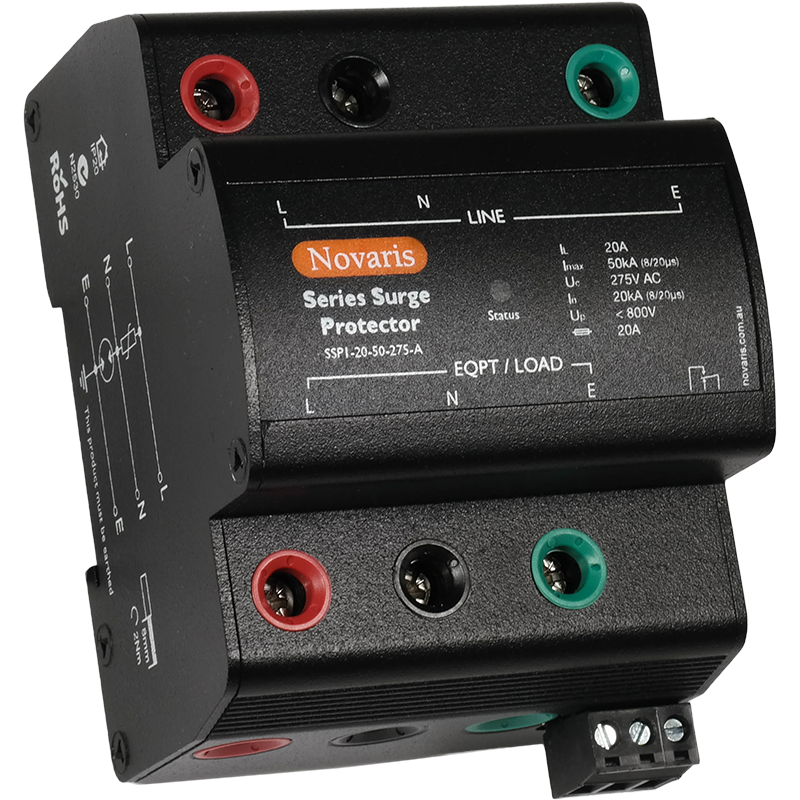 Novaris SSP protectors are suitable for installation in circuits up to 63A. The SSP range has been engineered to provide excellent performance in an economical package. Protection is provided for all combinations of lines (L-N, L-PE, N-PE) ensuring the maximum level of protection is achieved at all times. Series surge protectors house the shunt (parallel) connection of the protection components internally within the device. 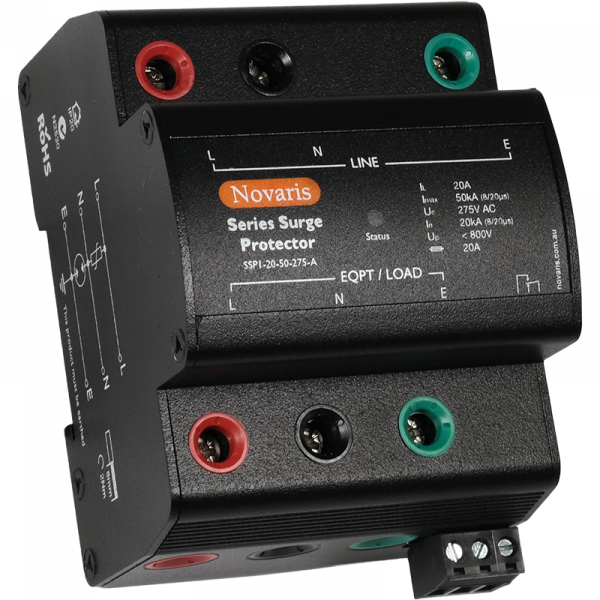 This reduces the connection impedance to a minimum to guarantee optimal performance in all installations.